Too hot to wear? Keep 100% cotton pants away from fire! Hi, I found this funny warning label inside a pair of 100% (organic) cotton pants by H&M. 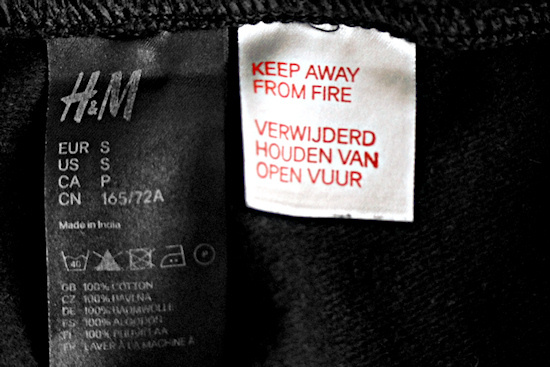 Ok, I will follow this warning, but hey guys, where is the "Do not iron it on the body" warning label?